Your restoration will be done right the first time, guaranteed. Restoring Homes, Businesses, and most of all... Peace of Mind. BROADCO Property Restoration provides 24-hour emergency disaster service. We specialize in the stabilization and restoration of homes and businesses that have suffered small or large loss from water, flood, wind, storm, fire, and smoke disaster. We provide full-service solutions for restoring your property to pre-loss conditions or better. With more than 25 years of experience in our community, BROADCO has the training, equipment and leadership you need to fully restore your property with minimal disruption to your family or business. Fast Response. We know your home or business is your most important investment. Our rapid response team is available 24/7 to respond to your emergency. On-going Communication. When your property is damaged, you want professionals with high integrity to bring you back to normal. We keep you informed from the initial call through job completion. We are committed to your total satisfaction every step of the way. Consistent Quality. You deserve the highest level of expertise and workmanship. State-of-the-art equipment and technical knowledge are the cornerstones of our business. We are built on a strong foundation of quality and service in everything we do. Industry Experts. 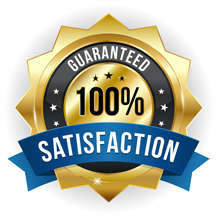 You can be assured that our technicians and tradesmen are certified and licensed, with the highest level of on-going, specialized training in cleaning and restoration. Let our experience, training and technology put your mind at ease.